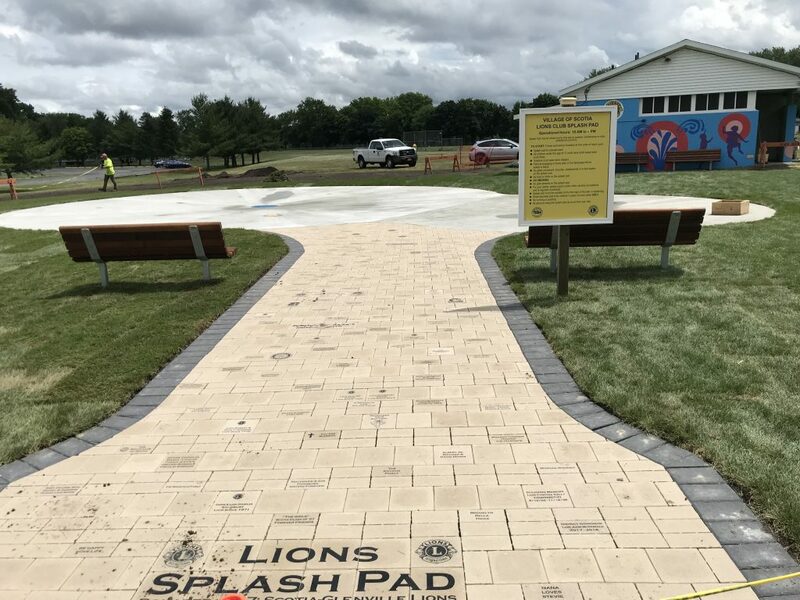 Update June 30 2018: The Splash Pad is now open. Thanks to all the donors who made this project possible. We will still accept donations throughout the summer 2018. Any donations in excess of the project will be used on other projects in Collins Park. 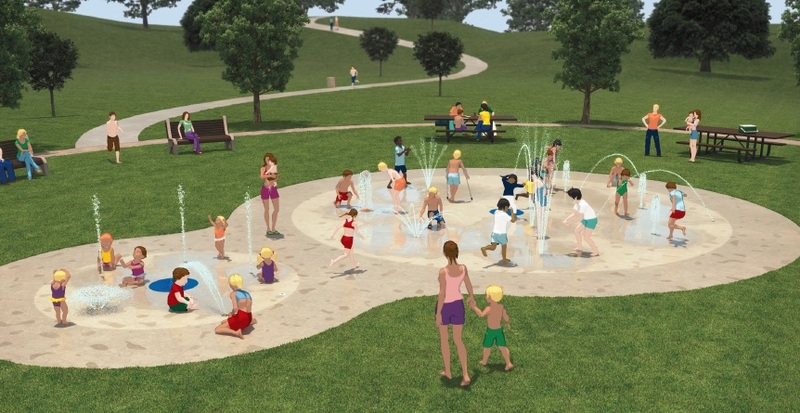 New water fountains and renovating the bathrooms are top of the list now. Bricks will be engraved for each donor. The personalized bricks will randomly placed throughout the outer ring of bricks. Different donation levels will receive different sized bricks or brick arrays. We will try to accommodate requests for brick messages, but below are typical guidelines for the brick wording. All lettering is black.